Filipino star Donnie “Ahas” Nietes joined the elite class of Manny Pacquiao and Nonito Donaire, when he became a four division world champion on New Year’s Eve. In his second attempt, Nietes captured the vacant WBO super flyweight world championship. Back in September, Nietes fought countryman Aston Palicte to controversial twelve round split draw with the vacant WBO title at stake. The sanctioning body felt Nietes should have won the fight and ordered him to face Ioka for the vacant belt. Nietes won a twelve round split decision over Japan’s former three division champion Kazuto Ioka at the Wynn Palace in Cotai, Macau. It was a very tough contest, with Nietes using rapid counter punches to key Ioka at bay. At the end of the twelve round contest, it was the 36-year-old Nietes who walked away with the split decision win based on scores of 118-110, 112-116, 116-112 to capture the WBO’s 115-pound title and made history for his career. He improved his once-beaten record to 42-1-5 with 23 knockouts. “I was expecting a unanimous decision win but I can’t say anything about the decision [of the other judge]. Judges have their own views. That’s what he thinks of the fight or maybe he saw a different angle in the fight,” Nietes told The Manila Times. 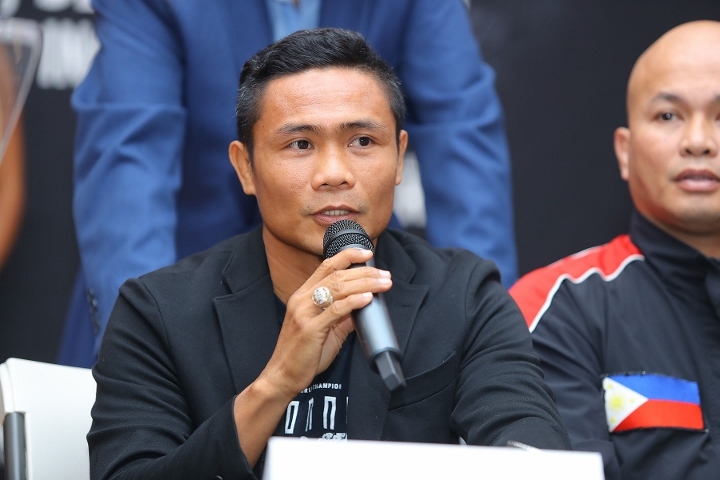 While the fight was very close at time, Nietes believes that he was always in command of the contest and was never really bothered by anything that Ioka was able to accomplish in the fight. “His punches were not solid and it seemed he’s afraid to attack me. I was able to evade his body shots and hit him with uppercuts as he got closer so he changed his style,” he said.